This room sits just across from Room A & B in our pavilion. 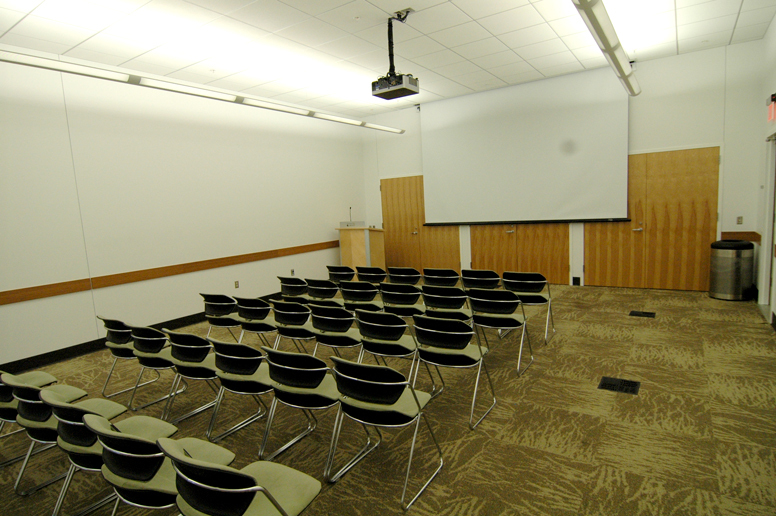 The room capacity is just slightly less than for Room A or B, with a maximum capacity of 50 (open room). The diagrams below show standard setup options for Room C. Custom setup costs $25. Note that a stage configuration is not available in this room.